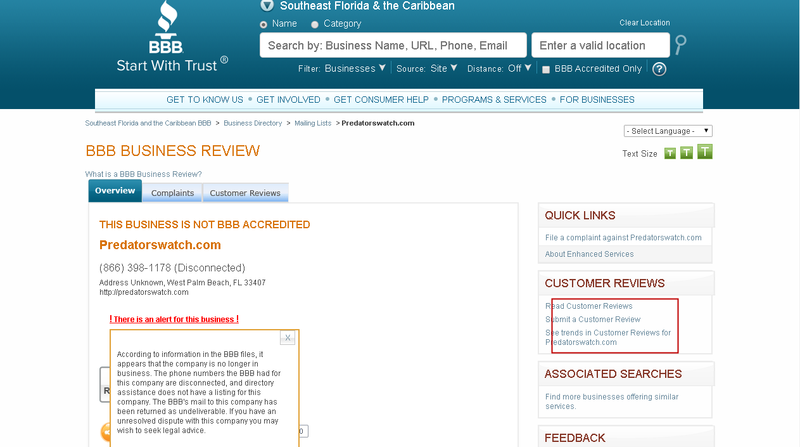 scamFRAUDalert see it appropriate to issue this ALERT regarding complaints filed with the BBB of Central Florida and Southeast Florida and the Caribbean. The consumer indicated he/she ACCEPTED the response from the business. I am satisfied with the response I have been given. I requested the company XXXXX.com remove all of my information from their system and no longer contact me and they have done what I wanted. Trust. It’s been a part of BBB’s heritage for over 100 years, and it’s why some of the leading North American organizations have made the commitment to advance trust together. Does your business have a core belief and value that trust in the marketplace is essential for the marketplace to flourish? If so, join other like-minded businesses that are helping BBB promote and develop self-regulatory programs that advance marketplace trust. There is an alert for this business ! The Washington State Department of Financial Institutions (DFI) has received complaints against Harvest Moon Loans. It appears that Harvest Moon Loans is operating as a tribal online payday lender. Harvest Moon Loans claims to be owned by the La Posta Band of Mission Indians, a federally recognized Indian Tribe exercising its sovereign immunity subject to regulation by the United States Government. Harvest Moon Loans is not licensed by DFI. Harvest Moon Loans is not registered to conduct business in Washington State by the Department of Licensing, the Department of Revenue, or the Secretary of State. Washington residents are advised that state law (RCW 31.45.105(1)(d) and (3)) provides that a small loan made by an unlicensed entity to a person physically located in Washington is uncollectible and unenforceable in Washington State. Collection activities are subject to the federal Fair Debt Collection Practices Act. Therefore, if you have questions regarding debt collection laws please contact the Federal Trade Commission at 382-4357 (1-877-FTC HELP), or online at http://www.ftc.gov. If you are suspicious of unlicensed activity by a payday lender please contact the DFI at 1-877-RING-DFI (746-4334), or online at http://www.dfi.wa.gov. If you feel you have been the victim of a loan scam please contact the Federal Trade Commission at 1-877-FTC-HELP (382-4357), or online at http://www.ftc.gov or contact the Consumer Financial Protection Bureau (855) 411-CFPB (2372), or online at http://www.consumerfinance.gov.